Let's start this article off with a fun fact! Up until The Boston Major, tournament stages were called differently than they are today. The New Challengers Stage was called Major Offline Qualifier. The New Legends Stage was formerly called Group Stage. Lastly, The New Champions Stage was formerly known as Playoffs. Yes, the names sound a bit sweeter now than before, but a portion of simplicity is gone. Anyway, today we will be focusing on The New Challengers Stage, which is the first FACEIT Major London 2018 tournament stage. It features a total of 16 teams, half coming from the Boston Major and half coming from worldwide minor championships. 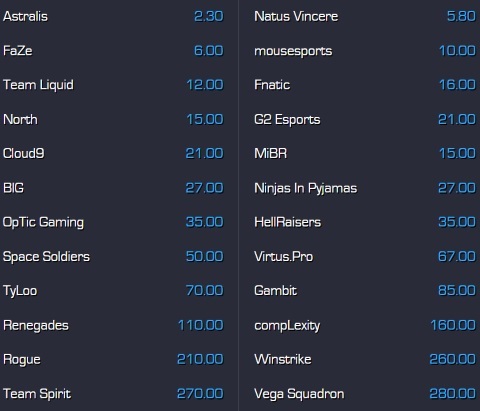 We got some big names on the table, names such as Astralis, North, Team Liquid, Ninjas in Pyjamas and many more. Undoubtedly, FACEIT Major London 2018 Challengers Stage is going to be a real pleasure to watch! 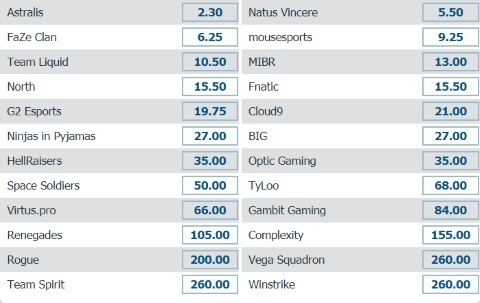 As far as the betting odds for FACEIT Major London 2018 Challengers Stage are concerned, you have nothing to worry about! eSports bookies all over the world are going to follow this tournament with great caution. With high odds, plenty of special bets and coverages of all games in all 3 stages of this tournaments, you can rest assured you'll have a proper place to bet on. 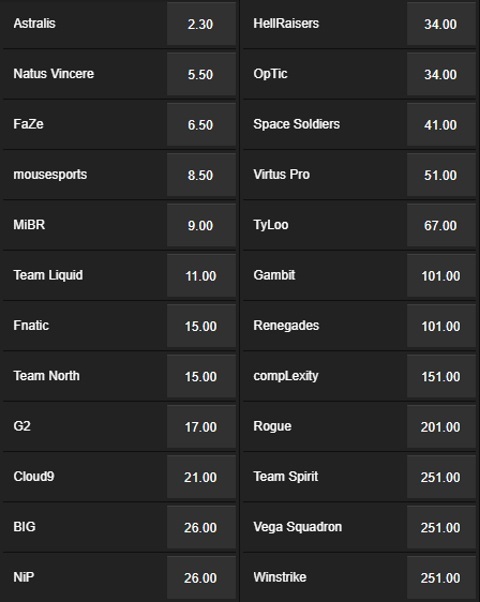 If you want a quick betting fix from us, here are the hottest entries for the biggest CSGO gambling fans reading this.